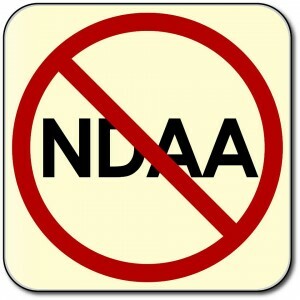 The 2012 NDAA, Sections 1021 and 1022, authorizes the indefinite military detention, without charge or trial, of any person, including an American citizen, and applies the “Law of War,” to U.S. soil, making the United States legally a battlefield. 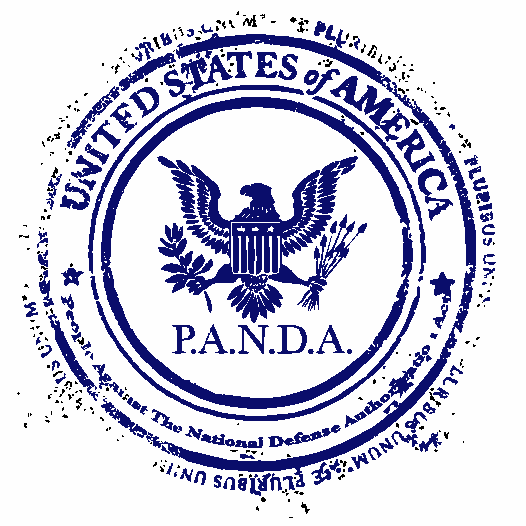 Birthed on Social media, from Twitter to Facebook, and a YouTube video, People Against the NDAA (PANDA) was founded on January 29th, 2012 in Bowling Green, OH. Supported by groups across the political spectrum, our group of 7-10 college students went on the offensive. 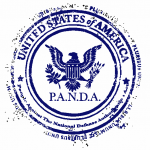 After flyering our university and getting involved in local politics, we launched PANDA nationwide in late April, 2012. Since our founding, we have rapidly expanded into the largest organization in the country battling the NDAA, indefinite detention without charge or trial, and the application of the laws of war to U.S. soil and American citizens. We have pushed Anti-NDAA legislation in over 20 states and countless local jursdictions, including Oakland County, MI, Las Vegas, Nevada, and Sunbury, Pennsylvania, and have helped pass several pieces of legislation across the country. We have been covered by WND, the Activist Post, Interoccupy, Western Journalism and by countless radio shows, alternative media personalities, and articles. We have networked with over 100 liberty-oriented organizations and several alternative news sources. Join us in the battle for the liberty and freedom of our country, spread the word on this dangerous law, and follow us to get all the latest news on the fight for liberty, and restoring our country to Constitutional Governance. Our Mission is to nonviolently block, strike down, repeal, stop, void and fight the indefinite detention provisions, Sections 1021 and 1022, of the National Defense Authorization Act for the Fiscal Year of 2012, to fight for American civil liberties, to combat laws restricting liberty in the interest of National Security, to support current government officials that are doing so and to engage a younger generation in the politics of the United States so this cannot happen again. A Republic…if we can keep it. Let’s take back our country.